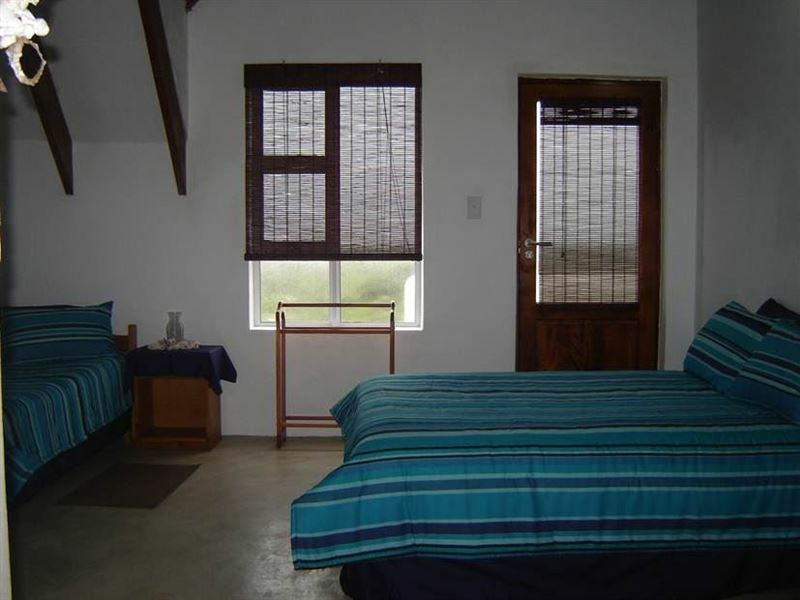 This two-bedroom holiday house is located in the calm fishing village of Dwarskersbos, along the popular West Coast of South Africa. This area offers lovely quiet beaches, and is ideal for a restful holiday. 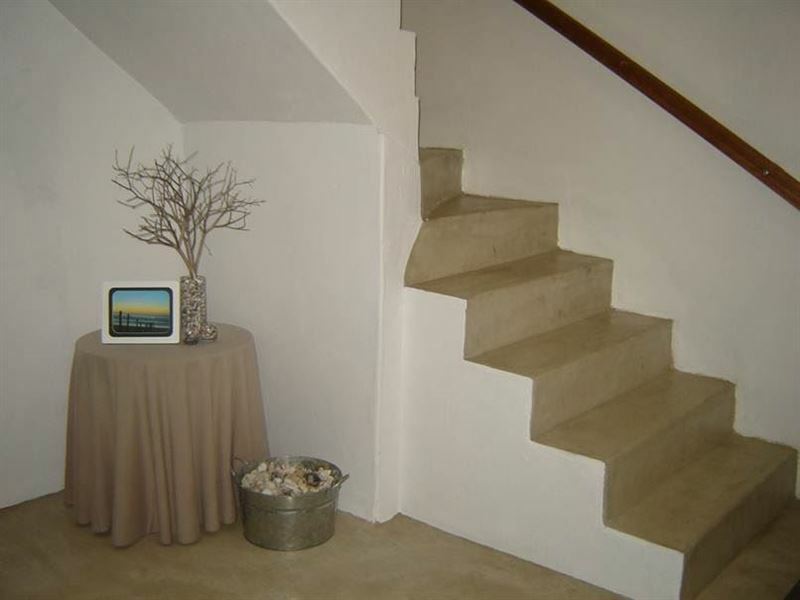 The house has beautiful sea views and is within walking distance to the beach.<br /><br />This holiday house can accommodate up to a maximum of five guests and comprises two bedrooms, two bathrooms and an open-plan kitchen and lounge. 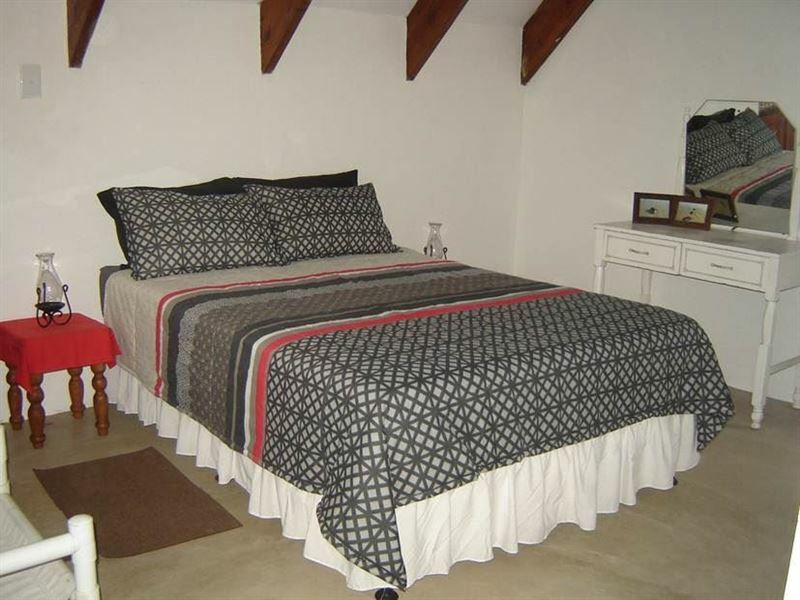 The first bedroom contains a double bed, and the second bedroom contains a double bed and a single bed. Each room has its own bathroom. 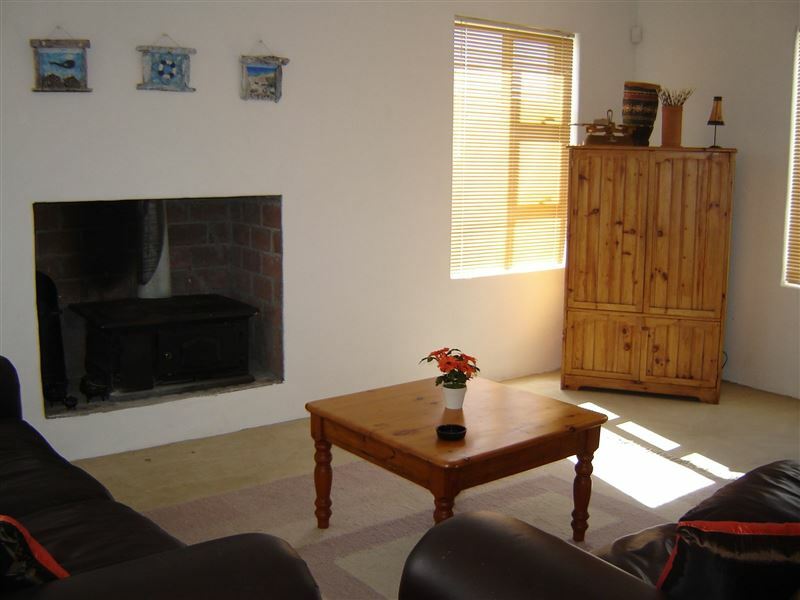 Bedding is provided.<br /><br />The kitchen is well equipped for self-catering, and the living area features full DStv and a guest toilet. In addition, there is a washing machine and a tumble-dryer. 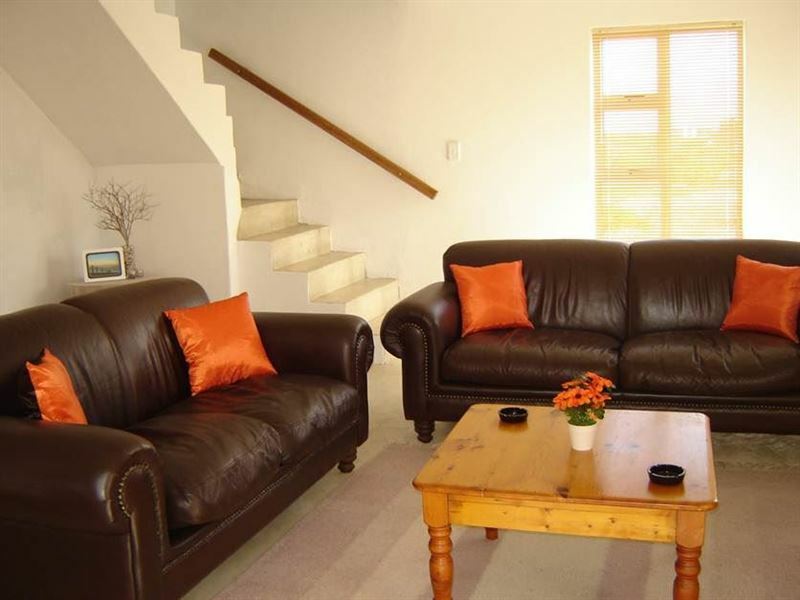 The living area leads to a balcony and outside braai area.